1. Keep people out of the pool that don’t belong. 2. Let people in that do belong. Easier said than done sometimes. Below are some of the most common ways communities manage access to their facility and the pros and cons of each. - Easy to implement. When a patron’s application is approved, you simply give them the band or keychain. - Passes do not include a picture or identify age. - It is easy to share passes. - Supervisors have difficulty determining if the pass policy is being enforced. - Fewer guest passes are sold because of pass sharing. - Passes identify age and make it harder for children to gain unauthorized access. - Passes can be collected and filed at the gate. This is a great tool for supervisors to ensure passes are being checked. - Labor intensive. 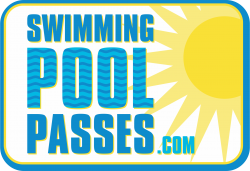 It takes time to print and distribute unique pool passes. - Even though it is a little harder to do, without a photo pass sharing still happens. - Fewer guest passes are sold due to pass sharing. A binder is kept at the pool with every patron’s name, address, DOB, and picture. As the patron enters, the gate attendant checks the book. - Cheap. No need to issue passes. - Incredibly labor intensive if done properly. The binder must be 100% maintained and accurate. Patrons may be denied access when they should be allowed. (e.g, if the book is not updated on the weekend). Patrons are extremely dissatisfied when this happens. If the book gets damaged due to weather or negligence, a lot of labor will have be put into reproducing the book again. - Pass books contain personal information about your entire community. If the book is not locked and secure, personal information is a little too accessible. - At single-guard pools, pass books create a serious risk management issue. Lifeguards cannot safely flip through a book, compare photos and watch the water simultaneously. Patrons show a drivers license. The lifeguard checks a resident list. - Cheap. Passes are not issued. - Children and teenagers may not have identification. - It is difficult to enforce guest pass policies. There is no way to differentiate between a child guest and child resident. - The resident list must be 100% maintained and accurate. - At single guard pools, resident lists create a serious risk managment issue. - The photo and age of the patron is printed printed on the pass. - Pass sharing is eliminated with a photo on the pass. Only authorized users gain access to the facility. - Passes can be collected and filed at the gate. - Increased guest pass revenue as a result of reduced pass sharing. - Labor intensive. Processing applications, laminating photos, or scanning pictures is very time consuming. Choosing the best pass policy for your community is an important decision. Access by unauthorized users has both safety and legal implications. On the flip side, if patrons are turned away from your pool that do belong, you may be dealing with dissatisfied customers. Swimmingpoolpasses.com is a solution for communities that wish to use photo ID pool passes that is less expensive and less labor intensive than traditional methods. Please contact us for more information or visit www.swimmingpoolpasses.com for more information.